The 10 Best Hot Dog Joints in Florida! In Florida, we sure know how to craft up the perfect hot dog. From north to south of the Sunshine State we have you covered when it comes to finding the best dogs around. Here’s where we find our favorite franks in Florida! This small chain began in Illinois and opened its first Florida location in Brandon. It's the best place to get an authentic Chicago-style dog in the state! 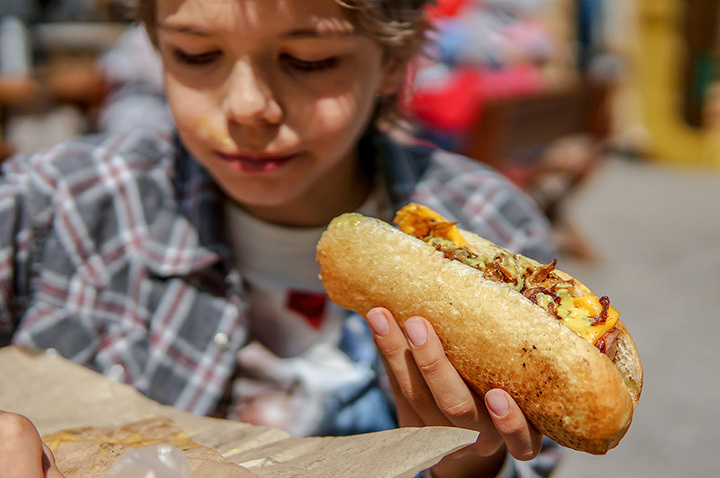 Their juicy chargrilled Maxwell street style Polish hotdog is a favorite among Brandon residents and those who travel there just to try one. If Brandon is a little far from you, don't worry. You can have these delicious Frank's shipped right to your doorstep. If chili dogs are your favorite style of hot dog, Arbetter's in Miami is the place to go. This family business has been serving up the best chilidogs since 1959 and hasn't stopped since. You can't go wrong with this hot dog shop! This Orlando hot dog joint aims to bring Chicago-style franks to Central Florida. With tons of toppings and sides, you won't know which to choose! Finish off your meal with their delicious Hershey’s ice cream to satisfy your sweet tooth. Known as a landmark in the Tampa area, Mel's hot dogs has been delivering delicious dog since 1973. This structure used to be part of the World War II army base, Henderson airfield, and you will still find Mel himself behind the counter entertaining customers with his jokes. Hazel’s is a great place to venture to after exploring the historic city of Saint Augustine. Try their infamous spicy hot dog for a little kick paired with their crispy hand cut fries. Serving unique taste of home combinations, Mad Dogs has many city and state inspired signature hot dogs to choose from. They have everything from a “New Jersey ripper” to the bacon wrapped BBQ “Memphis” Frank. Call ahead to skip the wait! If you find yourself in Maitland and are craving a yummy hot dog, head over to Chubby's. They're huge list of condiments makes it easy to create a custom dog that's perfect for you. Pudgees is a hidden gem that is a favorite among locals. Their dogs are the perfect snack for a road trip. Get yourself a foot-long if you're feeling extra hungry! Looking for a delectable dog in South Florida? Make your way over to sweet dogs for a tasty meal. Don't leave without trying their signature “sweet dog” complete with bacon, greens, peppers, onions, LaChoy noodles and their secret sauce. These all-beef Nathan's dogs come from Hot Diggity Dawgs and More in Jacksonville will have you coming back for more. Try one of their sausages for something different and delicious!